A Florida news station recently went viral because of their weather report. 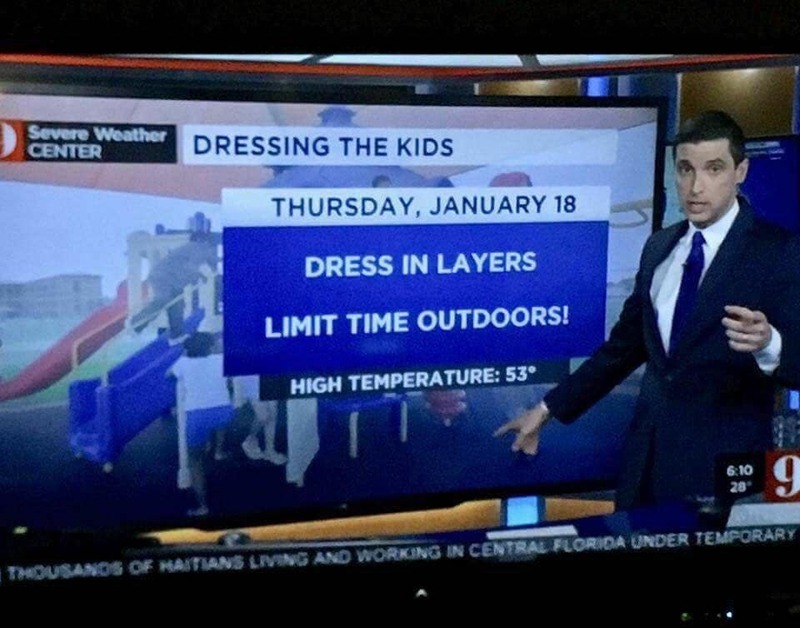 With a forecast high temperature of 53 degrees the Florida weatherman urged viewers to dress in layers and limit time out doors. We got a great laugh out of this here in Colorado!